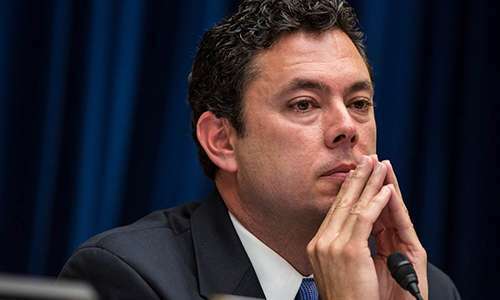 US Representative Jason Chaffetz (R-Utah) has tried again and failed again in his effort construct a valid political argument supporting his RAWA (“Restoration of America’s Wire Act”) measure that’s likely to pass the Congressional vetting process. The latest failure for Chaffetz and his sponsored RAWA bill — the measure written by lobbyists for Sheldon Adelson’s Las Vegas Sands Corp., seeking to protect Adelson’s land-based casino interests — came on Wednesday, in a hearing before the Chaffetz-chaired House Committee on Oversight and Government Reform. Despite continued efforts by Chaffetz to skew the hearing’s witness list, though not to the farcical extent of Chaffetz’s first RAWA hearing in March, the end result was the same: The claims and justifications of RAWA’s supporters were exposed as hollow in a hearing that certainly went far astray from Chaffetz’s hoped-for results. According to comments made by Chaffetz during the hearing, the shape of the witness list was created to give an opportunity for representatives of all three levels of regional US-based government (federal, state and county) the chance to sound off on RAWA-related topics. This structure gave Chaffetz the pretense needed to avoid having to invite any of the industry’s technical experts who could thoroughly debunk the false claims offered both by Chaffetz and by Wilson, the rabidly anti-gambling AG from South Carolina who proved utterly fact-devoid throughout the hearing. Wilson, whose prepared statement for the committee we’ll have fun eviscerating in a follow-up post, proved to be utterly ignorant on the ID-verification technologies employed by regulated sites. But then again, given that he didn’t know the difference between poker or online poker (the card games) and video poker (the slot machine that uses card symbols and poker-themed payout rules), such cluelessness was to be expected. Yet Chaffetz had to include someone from a pro-regulatory state, if just to be able to make some claim of fairness. For that he opted for Nevada State Sen. Mark Lipparelli. Lipparelli has played a prominent role in Nevada’s introduction of regulated online gaming, and he is well versed in the topics, both political and technical, that regulated online gaming faces. Chaffetz presumably chose Lipparelli because the Nevada pol had once made remarks that could be twisted in a way to disparage leading international online poker site PokerStars, though when questioned on that late in the hearing, Lipparelli took pains to parse that statement away from Chaffetz’s anti-Stars interpretation. As the hearing progressed, and as committee members grew increasingly tired of the charade foisted upon them by Chaffetz, more and more of the questions asked went to Lipparelli, the only one of the four witnesses with both knowledge of the technical matters involved and a hands-on history of working with the issues. The other three witnesses faded into the background — not that you’d get that from reading the Oversight Committee’s summary of the proceedings, which looks to be as hand-written by Adelson’s LV Sands lobbyists as the hearing’s title itself. Lipparelli singlehandedly debunked the bogus claims made by Chaffetz and Wilson that geolocation and ID-verification don’t work, at one point even inviting committee members to travel to Nevada to see the regulated screening services in operation. Lipparelli’s stance was backed up from special appearances by statements from other House representatives, including Oversight Committee member Bonnie Watson Coleman (D-New Jersey). Coleman introduced slides showing the NJ-authorized GeoComply location verification service in action, driving a stake through Wilson’s and Chaffetz’s upside-down “state’s rights” assertions. It turned out to be a very, very bad day for RAWA and its backers, with a large majority of the committee’s members, both Democrat and Republican, showing clear distaste for the bill and its intent. It seems unlikely that RAWA can pass out of the Oversight Committee at this point, despite Chaffetz’s fervent efforts. At one point, he called a time-out to hold a private sidebar, arguing with another GOP committee member when that member’s line of questioning didn’t go Chaffetz’s way. The Poker Players Alliance, whose executive director John Pappas was in attendance, but was pointedly not called as a witness, offered a statement on Wednesday’s hearing, calling it “severely misguided” and a bald attempt at “crony capitalism” favoring Adelson, the bill’s primary backer. Pappas and the PPA even called attention to the fact that the hearing’s title, “A Casino in Every Smartphone,” directly invoked a buzz phrase first introduced in late 2013 by Adelson lobbyist Andy Abboud. The PPA mocked the hearing title and the phrase in an accompanying infographic.